At Stoller Dental Laboratory, we work with many implant systems available today. 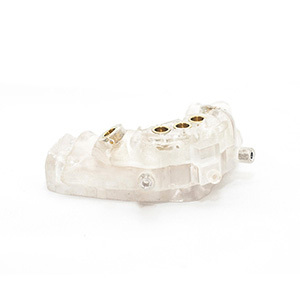 With our commitment to current technology, we can fabricate authentic Zimmer and Straumann abutments and are able to fabricate abutments for any other implant system on the market with our scanners that we have in house. There are many steps to a successful implant case and by far the most important is pre-planning. Stoller Dental Laboratory offers fully guided surgical guides to ensure the proper placement of your implants. Stoller Dental Lab also works together with oral surgery groups for delivery of the Revitalized denture cases. Be sure to call us today to successfully plan you next implant case for the highest patient satisfaction.